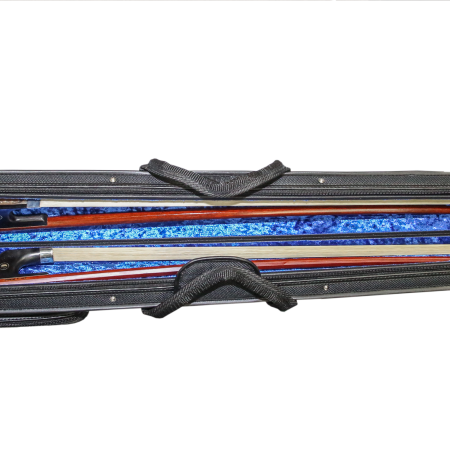 Black exterior, blue interior. 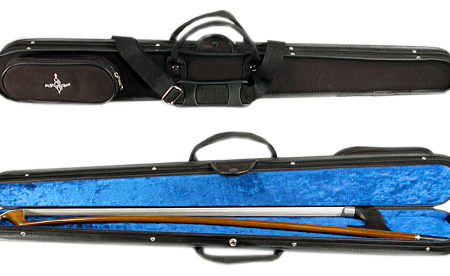 Superb hard shell bow cases with plush interior and a hopsack fabric covering. 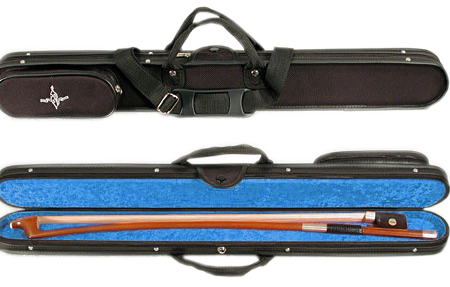 Accessory pocket, zipper closure, handle and shoulder strap. 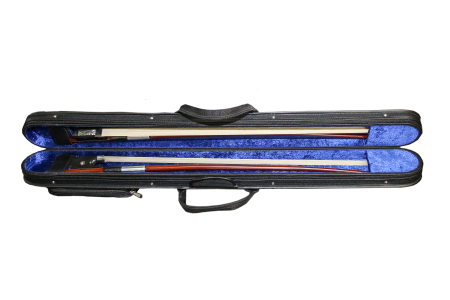 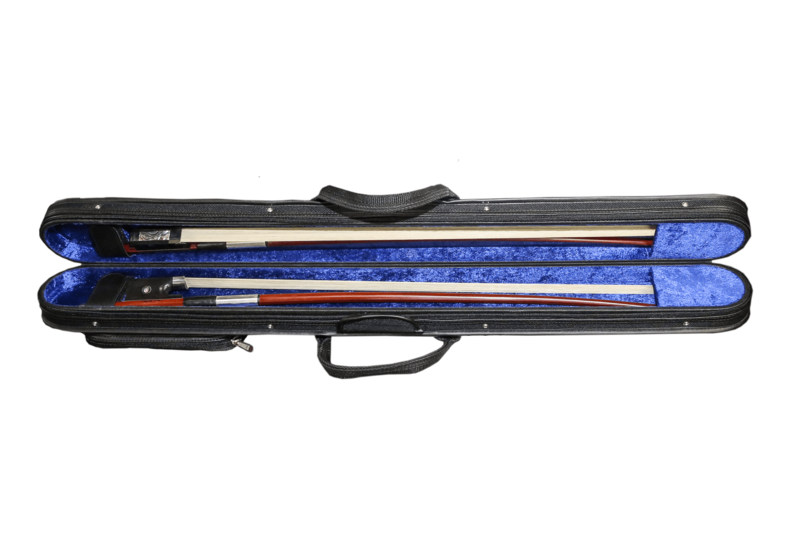 This case holds two french style bass bows.